A time of joyful singing, heartfelt worship, prayer, and meaningful messages from scripture. 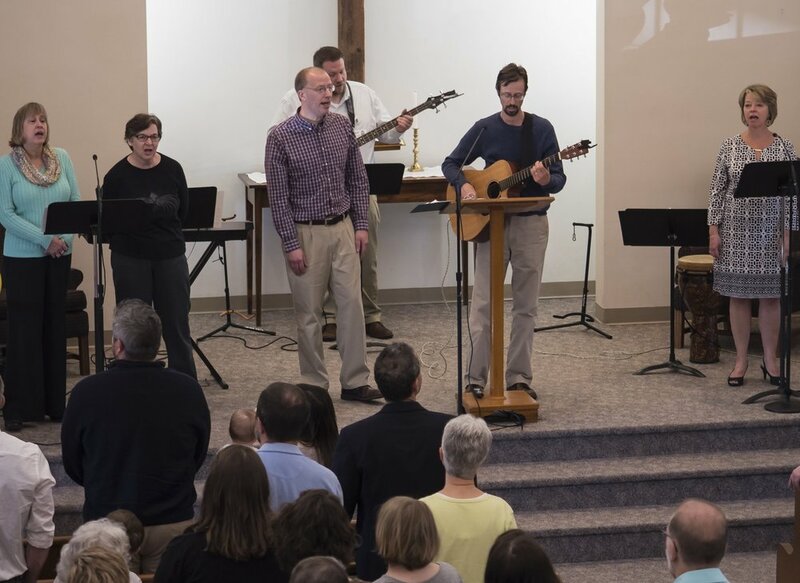 People of all ages, from children to senior adults, take a part in gathered worship. 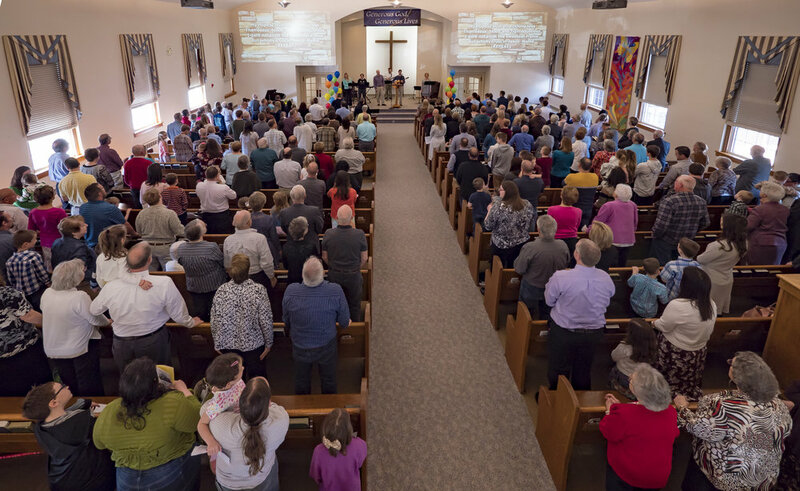 A typical service might include a mixture of hymns and contemporary praise music, a time of sharing where we are free to share both praises and prayer requests together, occasional children's time, special music, and a sermon. Childcare is available during the service for children two years of age and younger. Greeters will be able to direct you to the nursery area, located next to the Fellowship Hall. After the worship service, you are invited to join us for coffee or tea, located in the Fellowship Hall Foyer. Following the worship service a variety of classes, provided for all age groups, meet for a time of conversation and learning together in rooms throughout the church. Available for all ages toddler through adult.